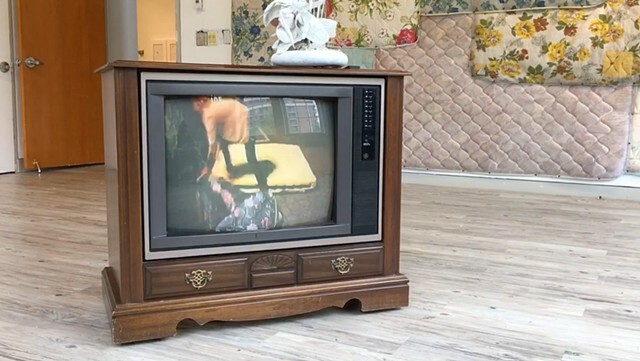 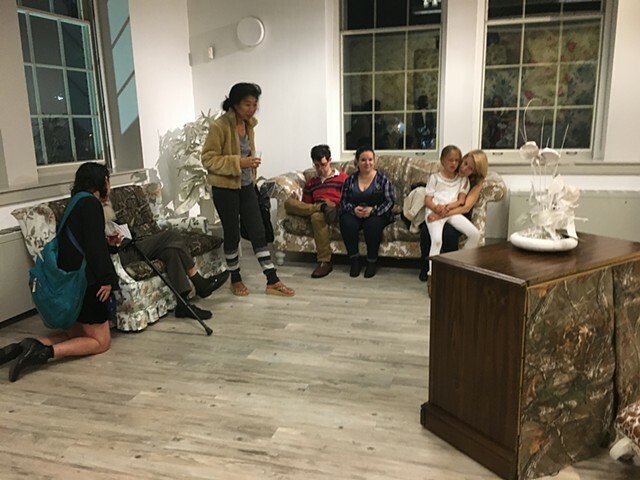 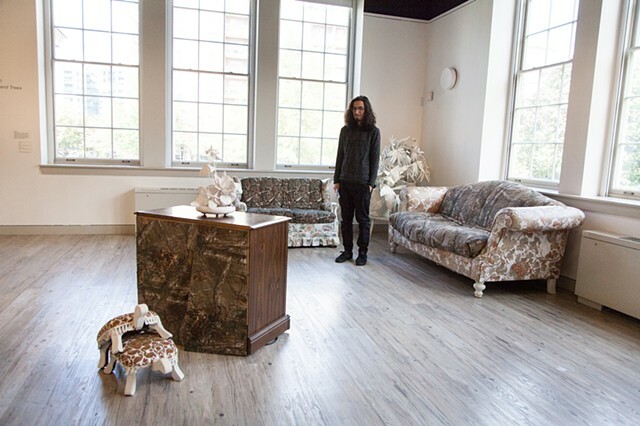 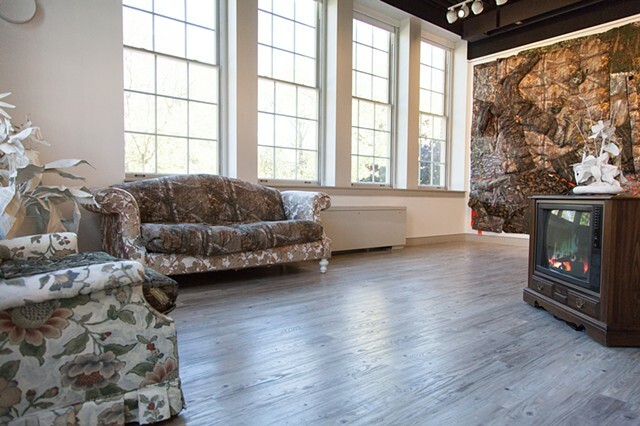 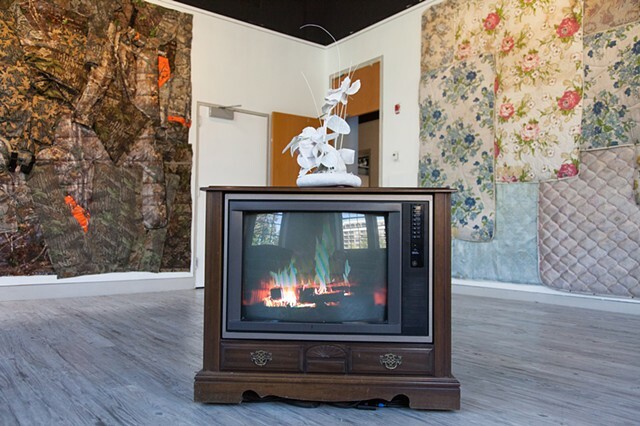 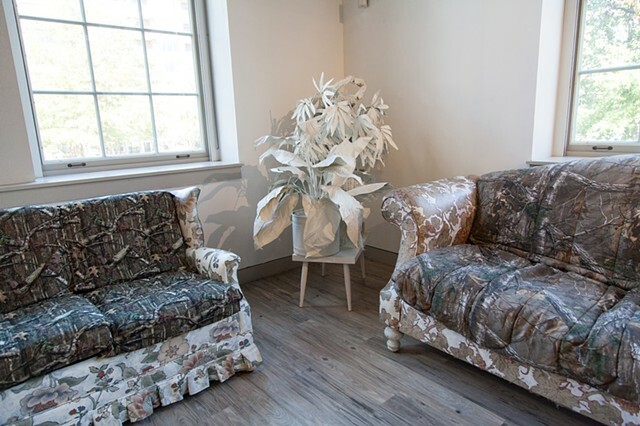 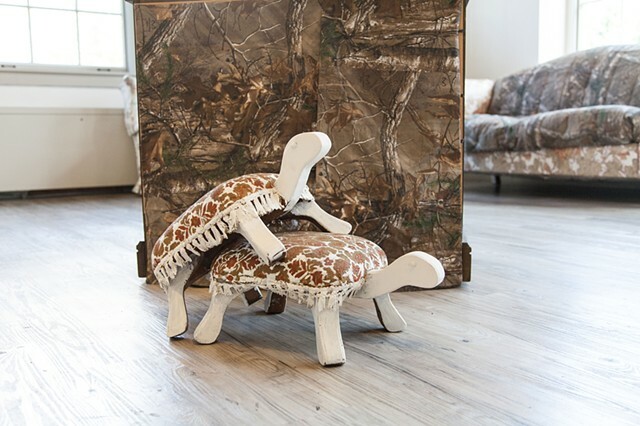 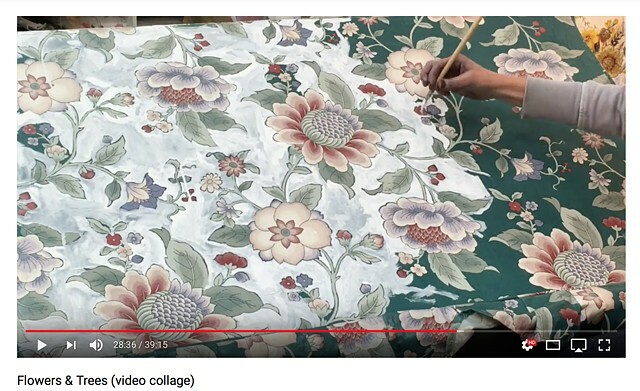 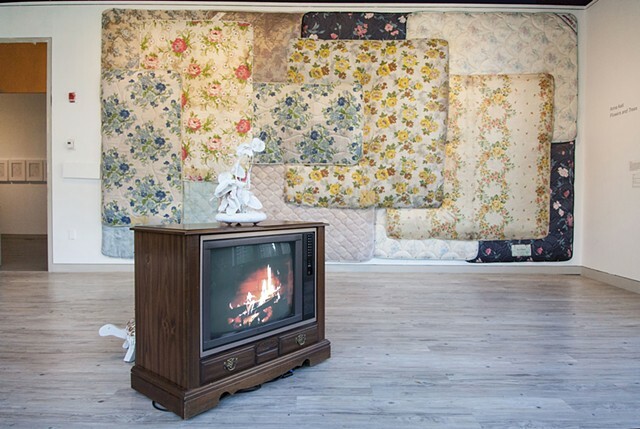 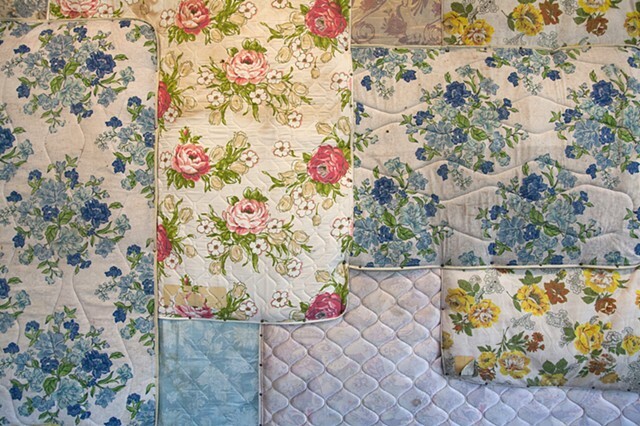 This installation, titled Flowers & Trees, is comprised of upholstered furniture, two "murals" made of collected floral mattresses and second-hand hunting camouflage, as well as an experimental video component that is viewed on an old cabinet-style television. 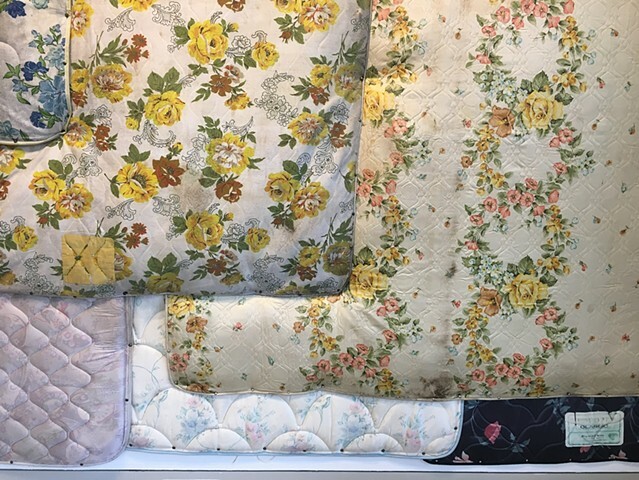 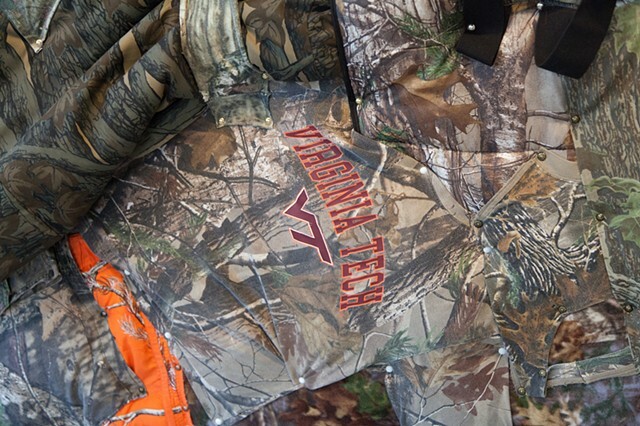 With this work, I investigate the way nature is represented and idealized in these mass-produced commodities as well as how such objects shape and inform our ideas about beauty, gender, and nature. 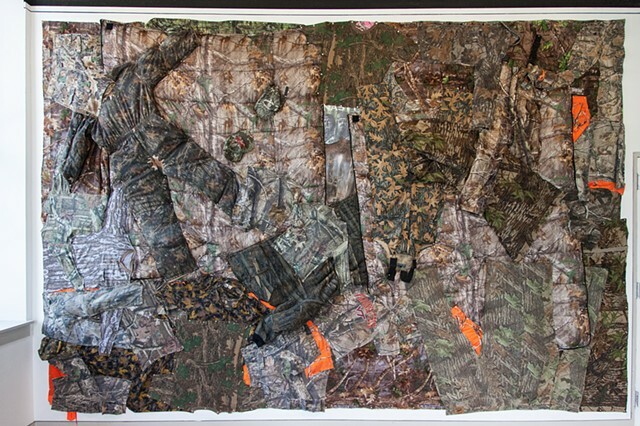 This work was created for a solo exhibition in 2017 at the Arlington Art Center in Arlington, VA.